Where I was - Hindustan Times, Garhwal Post, various magazines and newsletters. 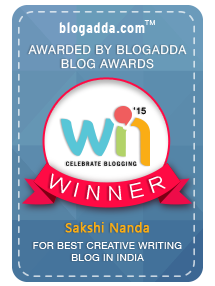 I love your blog and so I have nominated you for the 'SUNSHINE' award, hope you accept it. such a Nice Blog and Each and Every Post are writen with accuracy and carefully and One littel think which i am notice in your post every contain mention for Related topic Thanks For Making wonderful blog. It was great finding this blog here with bunch of good posts. Had a great read.